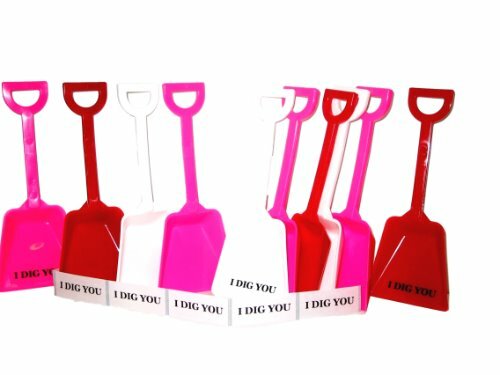 12 Toy Shovels 4 Each Red White and Pink and 12 I Dig You Stickers. Great for Valentine's Day, Christmas and Birthdays. Made in America, Lead Free, Food Safe, No BPA and Recyclable. Questions Call Toll Free 1-877-275-0052. 500 Teal Toy Plastic Sand Beach Shovels Wholesale Lot.